The full 13-strong cast is announced today for our special Gala Charity Concert of Robert J. Sherman’s new musical BUMBLESCRATCH at the West End’s Adelphi Theatre on Sunday 4 September 2016 at 6.30pm. This performance is in aid of Variety, the Children’s Charity, and is part of commemorations for the 350th Anniversary of the Great Fire of London, which raged in the East End for four days from 2 to 5 September 1666. In addition to the previously announced lead roles of Darren Day (Melbourne Bumblescratch), Jessica Martin (Bethesda / Widow MacGregor), Michael Xavier (Hookbeard) and Ilan Galkoff (Perry), the cast will also feature Jacob Chapman (as Socrates), Teddy Moynihan (as Squabbler) and Cathy Read (as Thamesa). Jacob Chapman‘s credits include Sunset Boulevard, Sweeney Todd (ENO), Grand Hotel (Southwark Playhouse), The Smallest Show on Earth (UK tour), We Will Rock You (Dominion) and The Mikado (Charing Cross Theatre). Teddy Moynihan trained at Arts Educational and will be making his professional debut in Bumblescratch. Cathy Read recently appeared in the ensemble for Eugenius at the London Palladium. 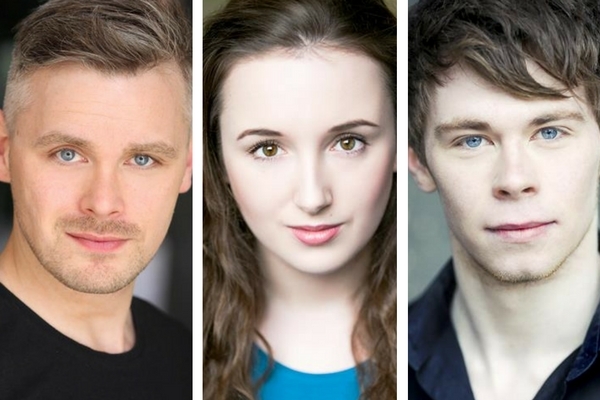 The full ensemble also includes: Alistair Barron, James Dangerfield, Emma Harrold, Katie Kerr (who also appeared in Sunset Boulevard this year along with fellow Bumblescratch cast members Michael Xavier and Jacob Chapman), Jessie May and Dickie Wood. The cast will be accompanied by a ten-piece orchestra. BUMBLESCRATCH is directed by Stewart Nicholls.